These shorts are ideal for warmer months or for use by those who prefer to wear shorts over pants. They have 7 pockets so there is plenty of storage for essential items. 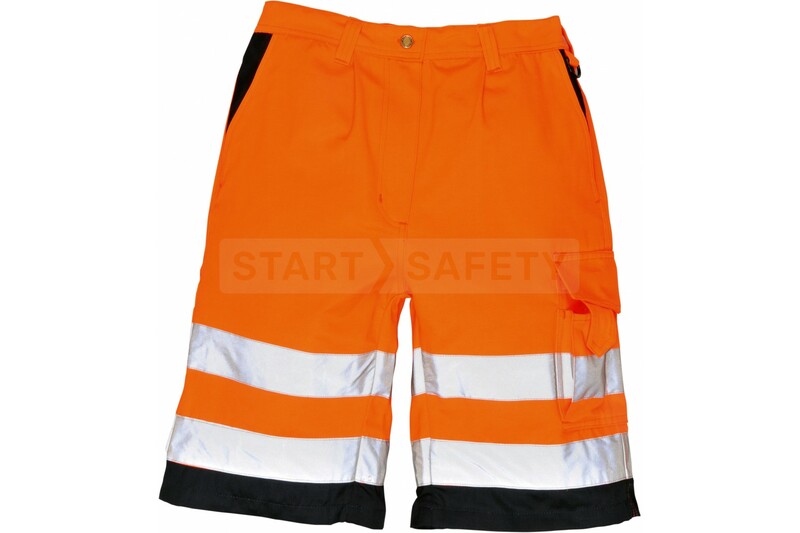 They are a tough blend of polyester and cotton making them very hard wearing. 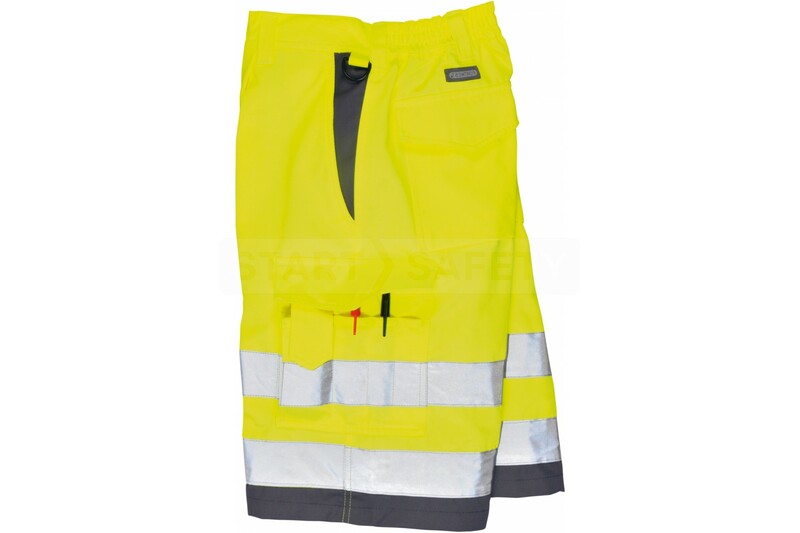 A semi-elasticated waistband makes these shorts comfortable to wear even when bending over or carrying out active tasks. 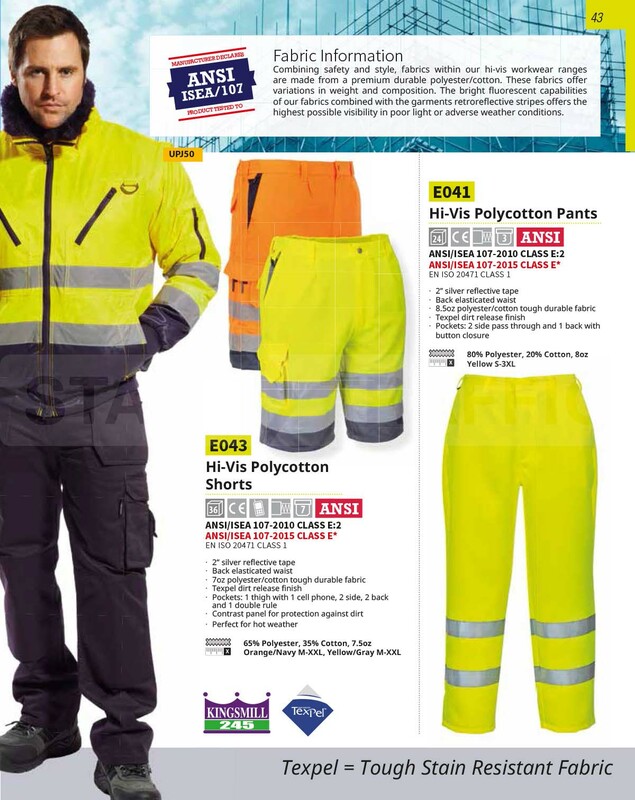 Texpel helps release dirt from the finish of the pants to ensure that stains are easy to remove. 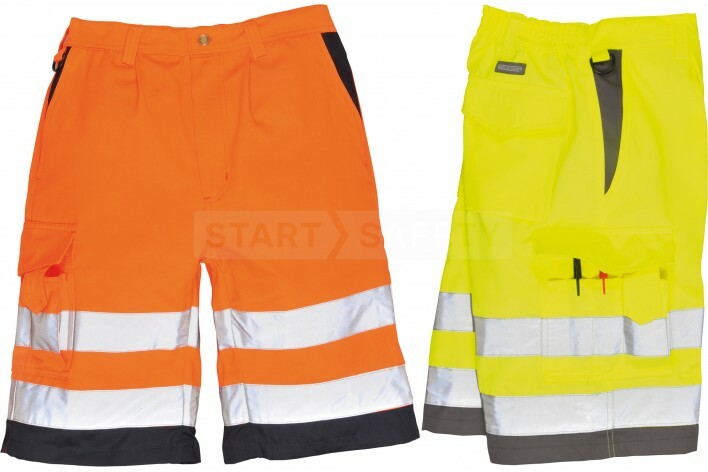 Do you have questions about these Polycotton Shorts? Give us a call and speak to one of our trained sales team, they will be able to assist you in finding the right product for your needs. They would also be happy to discuss any bulk quantities that you may require. Color Orange/Yellow with Silver Banding and Navy Contrast.